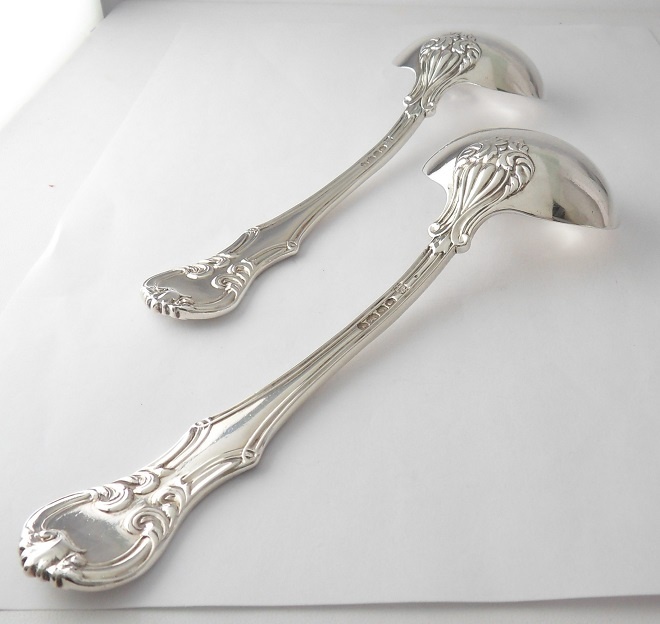 A first rate pair of absolutely splendid, very early Victorian, solid silver Ladles. 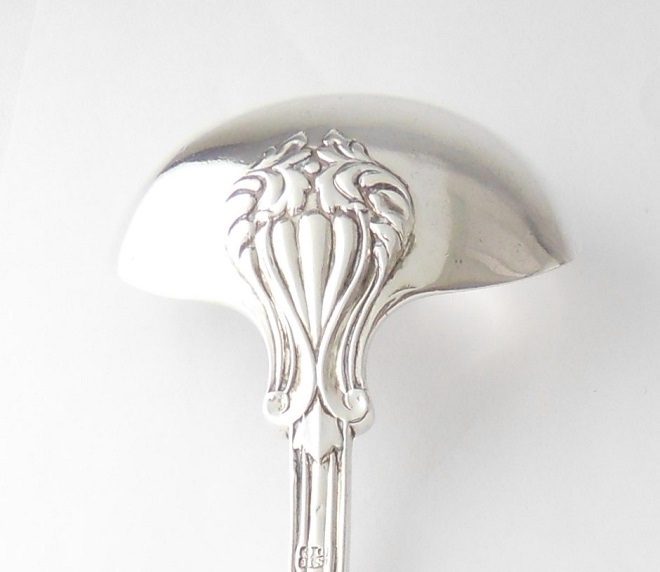 The ladles are decorated superbly in the 'Victorian'pattern: a particularly handsome pattern from end to end of the ladle terminals (see images), both front and back. The top of each terminal bears an engraved armorial and initial 'B'. 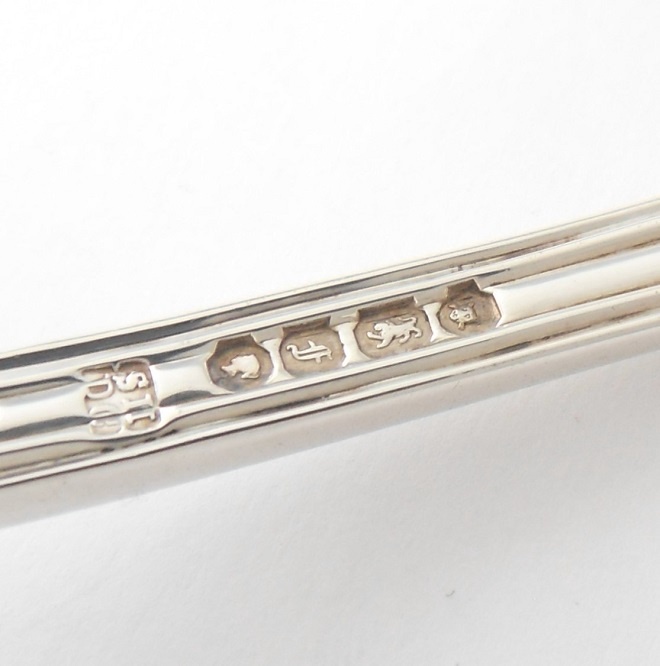 On the back of each are the very clear hallmarks for the London Assay Office with a date mark of 1841 and Lion Passant indicating the finest sterling silver, along with the clear silver maker's mark: Samuel Hayne & Dudley Carter. 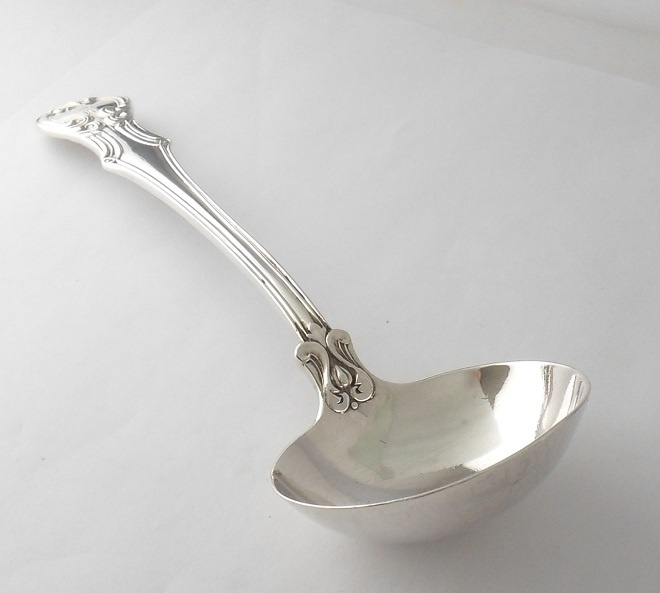 These ladles are a good heavy gauge silver and feel lovely to hold in the hand. The quality of the craftmanship is evident! Condition: In antique collector's condition. Hallmarks and maker's mark: London 1841 by Samuel Hayne & Dudley Carter. 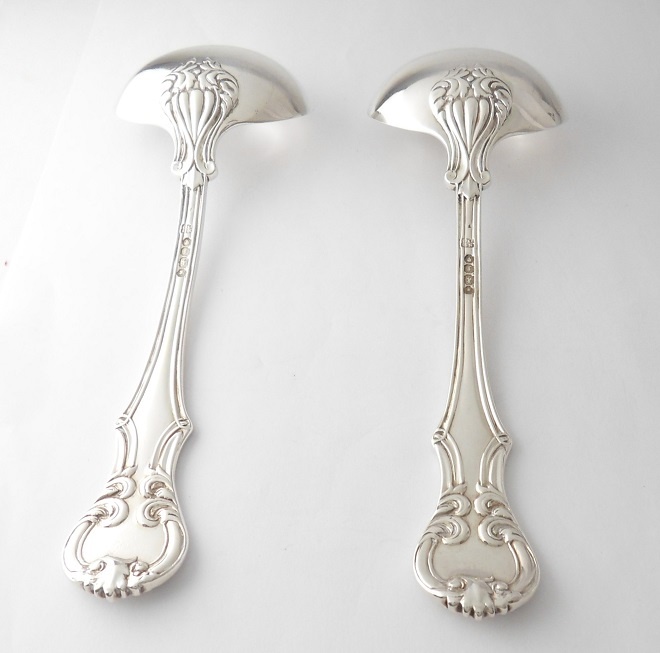 Length of each Ladle: 18 cm approx. Width across Ladle Bowl: 6 cm approx. Combined weight: 168 grams approx.